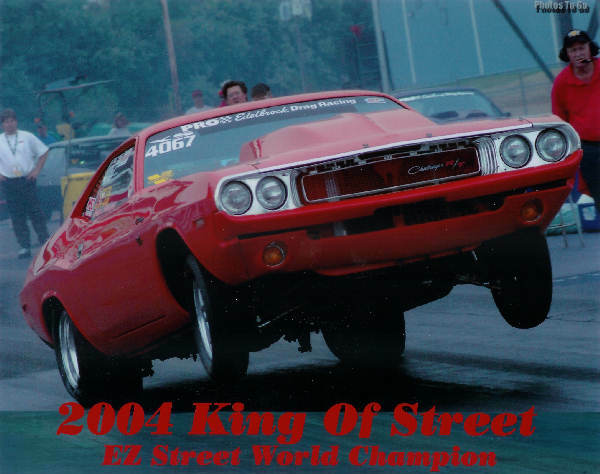 Andy Mayes, with his 1970 Dodge Challenger, teamed up with BTR Performance and proceeded to destroy the Competition to acquire the King of Street World Championship. 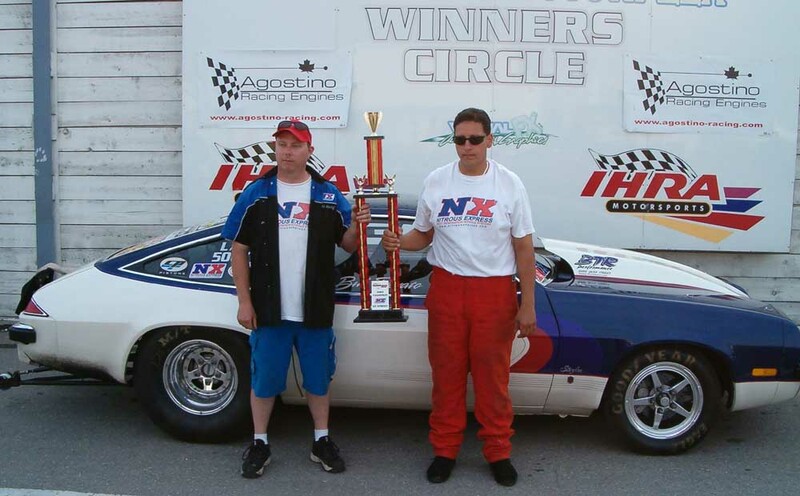 Andy competed in the EZ Street class with his Big Block Chrysler powered Challenger to acquire this prestigious title. Mayes Racing's Chrysler utilizes BTR's exclusive technology including the innovative Extreme Flow Nitrous Solenoid that comes with BTR's tuning expertise. This heavyweight Challenger consistently runs mid 8's on a true 10.5 tire. Do you want to win Championships like BTR customers?? Contact BTR to get you started down that path!! Bob Curran takes Pro Association Extreme Street Class Title with BTR Performance on Board!! 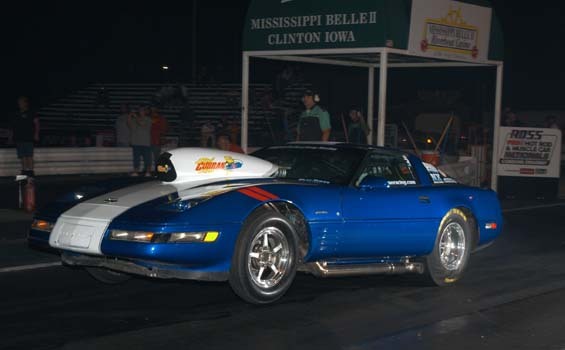 With the tuning expertise of BTR Performance, and the BTR Extreme Flow Solenoids, "Sponge Bob" Curran has finished #1 in overall points in the Extreme Street class in the Pro Association Racing Series. 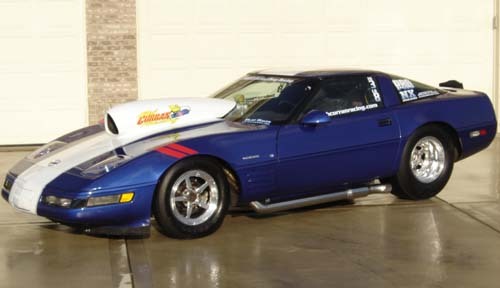 On the road to the Championship, Bob also set the Class ET and MPH records at 8.22 seconds at 167.63 MPH in his 1996 Corvette. 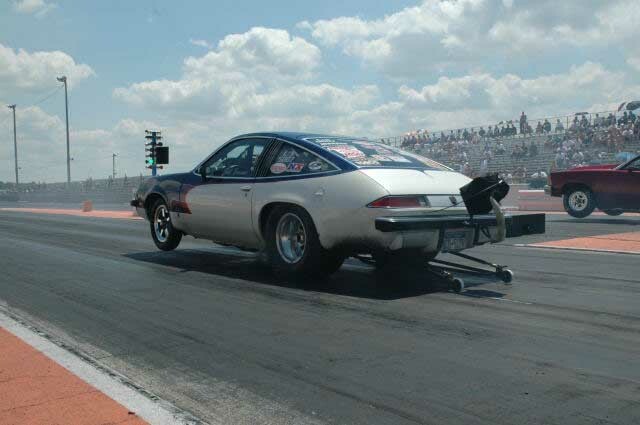 Bob's Ride is powered by a 352 Cubic Inch Steel headed Small block Chevrolet and weighs in at over 3150 pounds. For more information about this ride, check out Curran Racing!! BTR once again shows it's performance advantage with Best in Class Knowledge and Leading Edge Products. Do you want to Set Records, Win Races and Destroy your Competition???? BTR Performance can help you make that happen!! How can you go wrong???? With the growth the BTR is experiencing, we are in the process of expanding to a new facility. 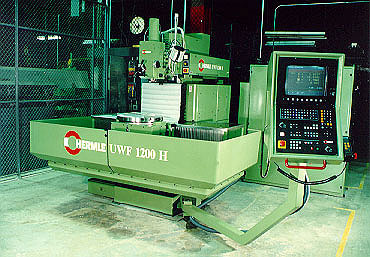 T his facility will allow for the addition of a new 5 axis CNC Mill and room is being made for a new Engine Dyno. Phone and email contacts will remain the same, so there will be no disruption in service! For your next project, use the resource that works with the best tools that are available along with proven experience. BTR can provide you with top notch quality services that is proven time and time again!! The Jeg's / Popular Hot Rodding Engine Master's Challenge is over. The BTR / Earl B. Emery, Registered Representative for Multi Financial Securities Corporation 410 Cubic Inch Olds Entry finished #10 overall in a field of the top 50 Engine Builders in North America. We here at BTR are very happy with this successful outing. Considering the cylinder head handicap that this Olds entry was faced with against far superior Ford and Chevy heads, we fared quite well. The other Olds entries were essentially at the bottom of the pack. BTR's superior skills, knowledge and experience certainly shined in this prestigious competition by running side by side with Big Dogs using a less than optimal engine package. Next year, BTR will likely reconsider the approach and utilize a more advantageous package to put them over the top!!! So.. next time you are considering a new engine program, improving your current combination or a basic re-build, why not choose the services who has shown to be the best!! BTR continuously PROVES to be the best!! Why listen to big talkers that show no results at the track or the dyno.... BTR can give you SOLID, RELIABLE, POWERFUL results that you can be assured of. 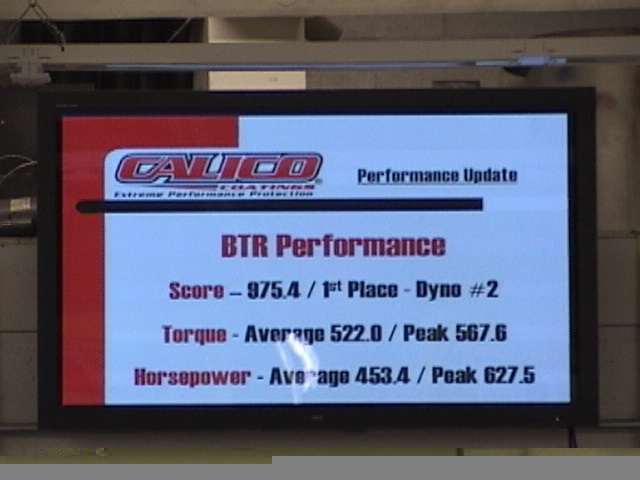 Click on the image above or HERE to see a video of the BTR entry on the EMC Dyno. Be sure to CONTACT BTR Performance for your next project! Day two is complete. At this point in time, the entry is holding on to the #1 position in our group. We have outgunned some serious competition. Overall, we are close in the hunt at #4 against BES, Sonny Leonard and Tim Davis. We are fairly confident that this entry will make it to the finals on Friday. Also, BTR has annihilated every other Olds entry in this competition. Keep checking back for updates!!! One thing is for sure, BTR has proven to produce Reliable, Serious Power that runs with the Big Dogs. They have proven it time and time again at the track. Now, they are proving it on the dyno. For your next project you desire to undertake, ask yourself..... "Who is going to help me make serious, reliable power????"...... The answer is obvious.... BTR Performance!!!! One week to go before the Engine Master's Competition, and a long week of dyno testing is planned to squeak out ever foot pound out of this Entry to make the best shot at wiping out the Challengers in this Competition. BTR Performance and Earl B. Emery, Registered Representative for Multi Financial Securities Corporation are suited and ready for battle! The hope is that BTR can continue their terror on the record books and continue on defying beliefs and destroying all expectations!! This entry is making about 20% more power than originally anticipated!!! This baby will be a serious contender!! Click HERE or on the image to the right for details on the build up of this motor. BTR Performance Continues to Rock the World!! Bill Trovato of BTR Performance continues its dominance in both NSCA Limited Street and OSCA EZ Street leaving just about everyone he meets up in a destructive, upsetting wake. Not only is his competitors being destroyed, but the record books are being re-written. At the latest OSCA event, Bill qualified first and in doing so, he knocked down the EZ Street ET Record with an incredible 8.16. 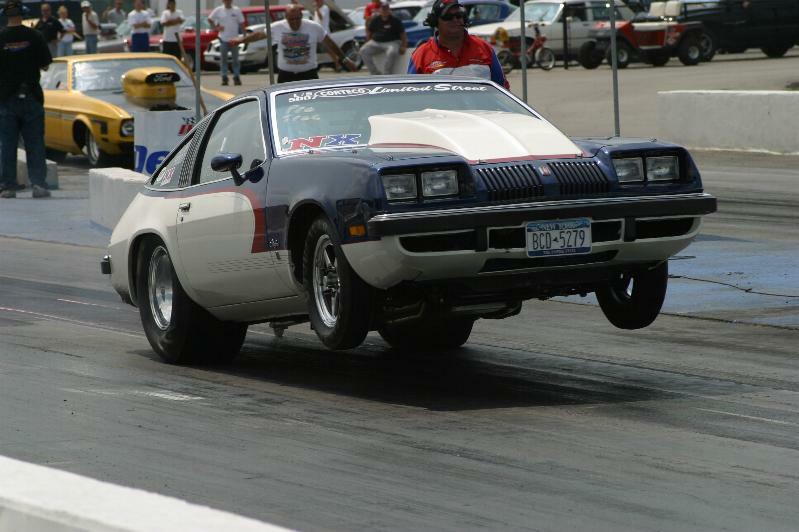 Following up the Awesome Performance at the OSCA event, the following weekend at the NSCA race at Mid-Michigan Motorplex at Stanton Michigan, Bill continued on his path of destruction. 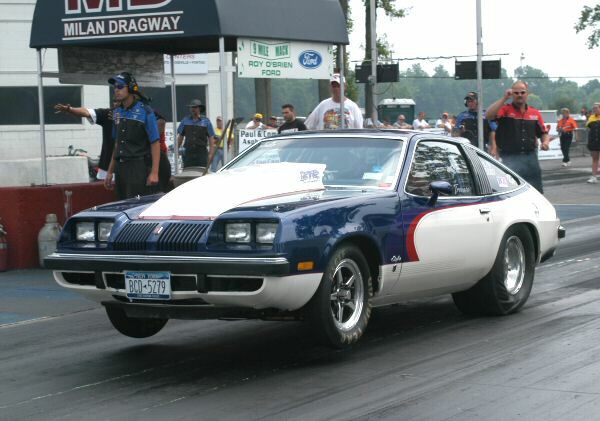 During qualifying, Bill knocked down the Limited Street Record and Qualified #1 with an ET of 8.03 seconds. Unfortunately, Mustang Mike had other plans and turned up his wick during Eliminations on Saturday and re-captured the record with a 7.91 ET. Bill and Mike met in the Finals and Mike inched out Bill leaving Bill with a Runner up finish. Do you want to Rock the World?!!?? Contact BTR for all of your performance needs including engine design, machining and assembly from mild to absolutely wild!!!! BTR Performance remains on a Hot Streak!! At the latest NSCA event at Quaker City in Salem, Bill Trovato of BTR Performance continued to rock the Limited Street field by taking the runner up position with an extremely close final round. Also, great progress is being made on the Engine Master's Challenge Entry. Stay tuned for details!! If you have any performance related projects that you need assistance with it need complete jobs resolved, make sure to contact Bill and BTR Performance. BTR has proven it's expertise in every outing this year in their program and has assisted many others achieve success including Bob Curran, Randy Jewel, Dave Laurer and Nick Scavo. Make sure to make them an integral part of your program!! 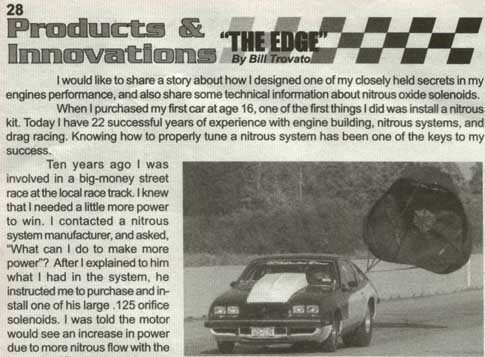 For the second year in a row, Bill Trovato of BTR Performance has rocked Canada!!! BTR Performance ruled the EZ Street Class of the Corteco Canadian Fastest Street Car Shootout knocking down the toughest of competitors including Mustang Mike, Sandra Grella and Joe Carano. This fight also included a #1 qualifying position and top class mph. How is BTR maintaining their 2 for 2 wins for the year as well??? Intense engineering behind BTR products, second to none services and superb attention to detail. Remember, just as BTR's on track performance knows no National Borders, It also knows no powerplant type borders. 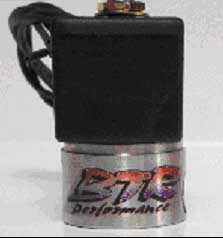 BTR is top notch for all types of high power motivation including Chevrolets, Fords and any other possibility. Again, do you want to be in the Winner's Circle???? Contact Bill at BTR performance using the methods identified on the Contact Page. Team BTR sets the NSCA on fire on first outing!!!!!!!!!!!!!!! Bill Trovato, founder of BTR performance, recently knocked down the entire NSCA Limited Street Field at Milan International Raceway. This was Bill's first outing with his Olds Starfire in the NSCA series after only one test session this year. On his way to the class win, he knocked down extremely impressive numbers to the tune of 8.07 at over 170 mph. 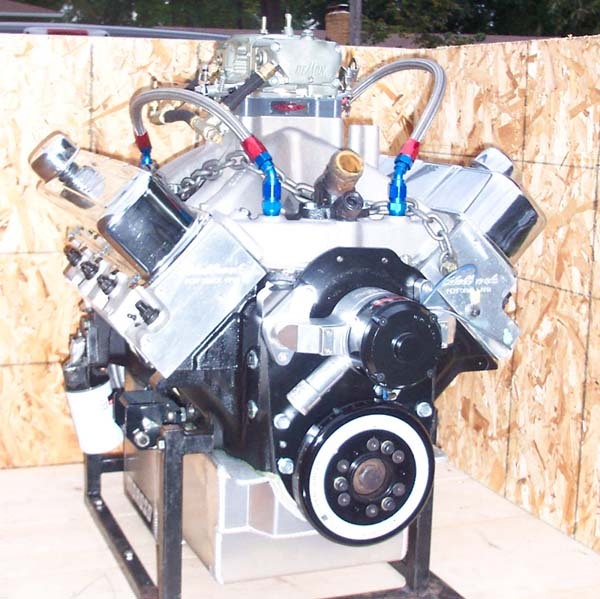 Bill's Starfire is powered by an old technology Small Block Oldsmobile which is at a large disadvantage against the latest and greatest technology Fords and Chevrolets. Bill is the first Nitrous car in Limited Street in the 8.0x range and the performance will certainly improve. Of course, Bill's Starfire is motivated with all of the BTR Performance Goodies. The motor is running as smooth as silk with no issues. Do you want to be at the front of the pack?!?!?! Contact Bill at BTR Performance and be with the top runners!!!! The team will assemble a Small Block Oldsmobile for this competition. The non-secret specs will be detailed as the project progresses. Upon completion of the competition, more extensive details will be reviewed in tech articles on this site in the Tech Info Section, so be sure to keep posted on the progress. Product announcement RPM/NSCA magazine. Fuel solenoids to be released soon as well!! Click on the header to the right for full review of the article. 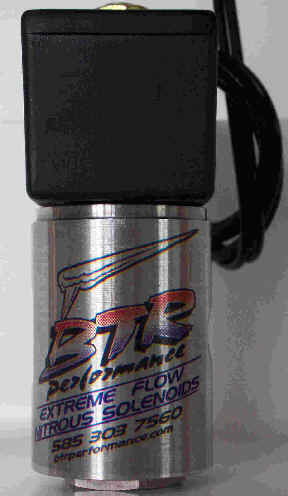 Within this article you will find an excellent technical review and exceptional benefits of the BTR Extreme Flow Nitrous Solenoid. IBTR's solenoids are officially released and available for purchase. A new fuel solenoid with similar current draw characteristics will be available soon too. Information on these next generation fuel solenoids will be released later this week. 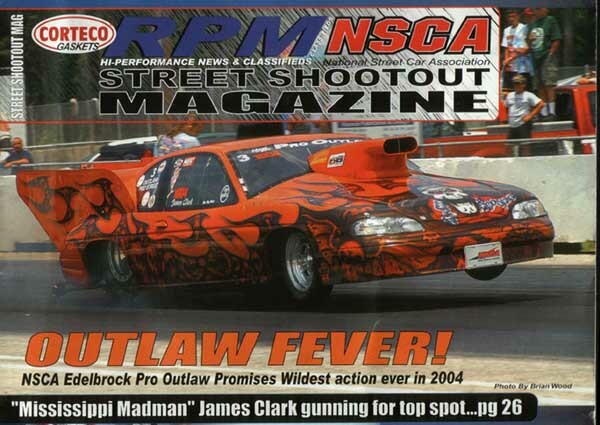 Read about the BTR Extreme Flow Nitrous Solenoids in RPM Classified's Street Shootout magazine. Update of Progress of Engine Master's Challenge motor. Cylinder Head Flow testing exceeds expectations!! 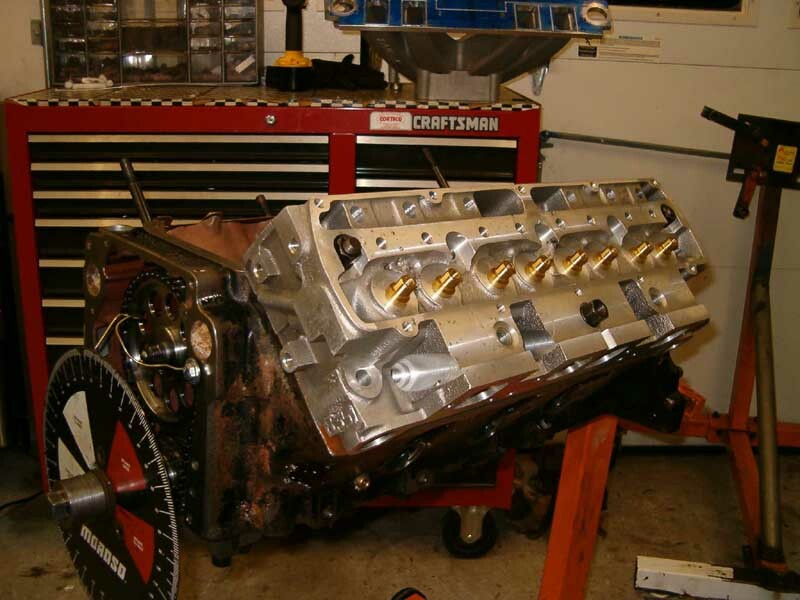 Using the Oldsmobile Edelbrock Aluminum Cylinder Head, some preliminary porting and flow testing showed number equivalent to most Olds Batten Heads. Further development will be conducted to finalize the desired port configuration. Nitrous System Flow Testing with BTR Performance Solenoid! A Nitrous Express Direct Port Nitrous Injection System with an Iceman Pureflow .157" orifice solenoid and with dual NOS "R" solenoids were tested back to back with a BTR Performance Extreme Flow solenoid. The nitrous system was set up with 41 nitrous jets. Using equivalent bottle temperature, weight and pressure and by only changing the NX Iceman solenoid to the BTR solenoid, the system flowed 4% more pounds per hour of nitrous!